Sept. 3, 2014, 12:33 p.m.
By Joseph Lichterman @ylichterman Sept. 3, 2014, 12:33 p.m. The complaints came rolling in shortly after The Guardian released a beta version of its new responsive website: The comments are too difficult to use. There isn’t enough information on the homepage. Even the font on the articles is too big. 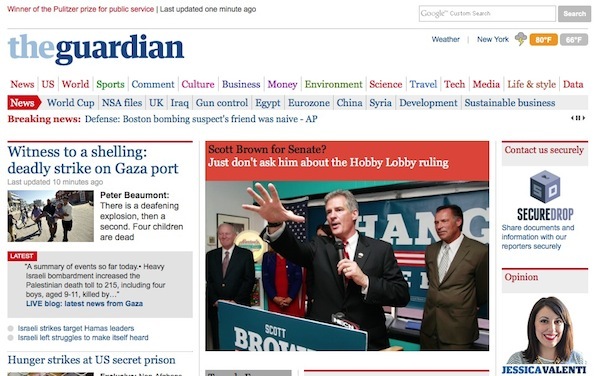 The Guardian has been developing the site for more than a year, but the beta version was released publicly in February. 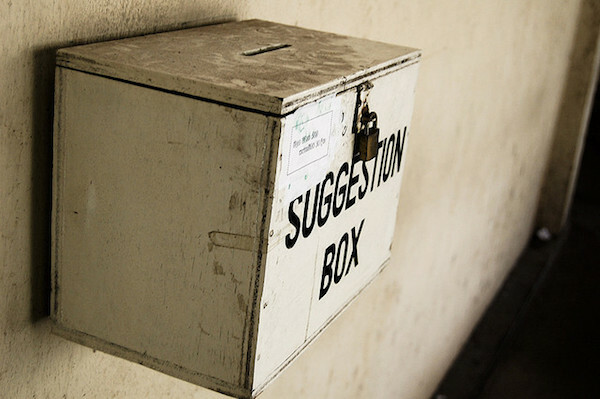 By the end of March, The Guardian had received more than 5,000 comments from readers; some positive, but many suggesting tweaks or complaining about problems. Which is exactly what The Guardian wanted. Their development team has taken that feedback into consideration as it continues to update and tweak the beta site piece-by-piece, said Tanya Cordrey, Guardian News and Media’s chief digital officer. For instance, The Guardian streamlined its commenting process after users said it took too many clicks to read a full comment thread on an article, and that the comment history wasn’t robust enough on profile pages. An audience survey also found that, of 17 potential issues with the website, load time was the second most important to readers, trailing only how easy it is to find content. As a result, the Guardian made speed a priority. Development of digital products is a top priority at The Guardian. Digital revenues accounted for about one-third of its parent company’s total revenue in its most recent fiscal year that ended March 30, the company reported in July. Digital revenue grew 24 percent, to £69.5 million ($114 million), though Guardian News & Media reported overall losses of £30.6 million ($50.4 million) before taxes and other expenses. In search of feedback, The Guardian has also brought users into its UX studio, which opened last year, where readers — both those loyal to The Guardian and those who aren’t familiar with the brand — are observed as they test the paper’s products. In May, The Guardian released new phone and tablet apps that share the same visual DNA as this redesign, which led to growth of the user base and an increase in premium purchases, according to a Guardian report. This model gives Guardian editors flexibility while also reducing the workload when it comes to coding, Haley wrote. The Guardian also implemented what Haley called “blended containers,” which combine stories from different sections to expose readers to different types of content. While this is great for users, it’s also helpful for the journalists, Haley writes. 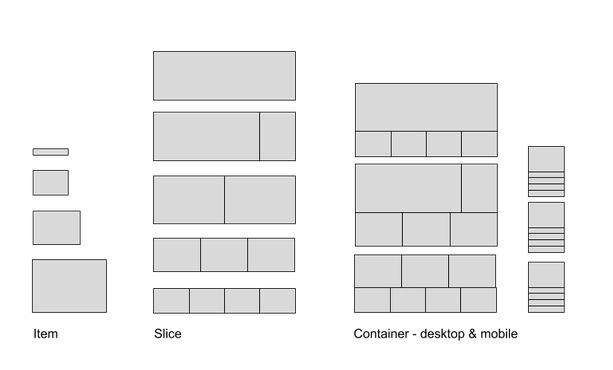 As stacked together containers are in effect just a series of lists, the container model also helps us internally when defining what appears on a new front, article or vertical page. We felt this was important because when the relative importance of content is clearly defined on the page, it is more easily understood by our audience. It also speeds up the creation process — one of our editorial colleagues was able to configure multiple section fronts in a single day using an internal tool and API queries. Other updates to the site also focus on making things more efficient for producers. For example, in February The Guardian produced Rescue From Antarctica, an interactive piece on the time journalists Alok Jha and Laurence Topham’s spent marooned aboard a Russian ship in Antarctica. While the presentation many not seem spectacular, on the back end the story uses a template that can be reused for other feature stories, which are marked by a magenta-colored banner. The Guardian’s growth in new markets outside the U.K. suggests an organizational focus on listening to and understanding audiences, which is underscored by their pursuit of user-focused design. The result is, hopefully, a content platform that blends usability for the journalists with a pleasurable experience for readers. For example, a new API that contains all Guardian content means editors don’t need to individually set a homepage for The Guardian’s desktop site, mobile site, and app. Instead, editorial decisions can be synchronized across platforms as they’re made, which ultimately makes readers’ news consumption more informative. Image by Hash Milhan used via a Creative Commons license. POSTED Sept. 3, 2014, 12:33 p.m.
Lichterman, Joseph. 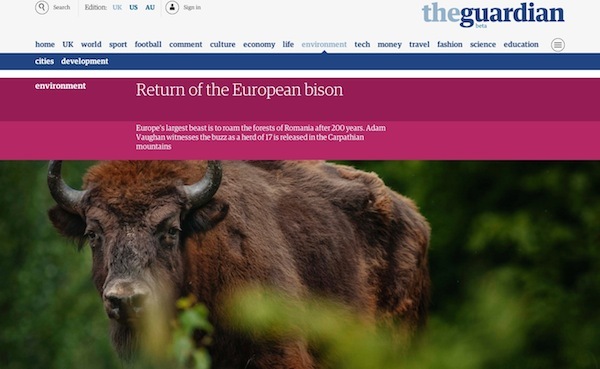 "The Guardian wants to know what you think of its redesign." Nieman Journalism Lab. Nieman Foundation for Journalism at Harvard, 3 Sep. 2014. Web. 23 Apr. 2019. Lichterman, Joseph. 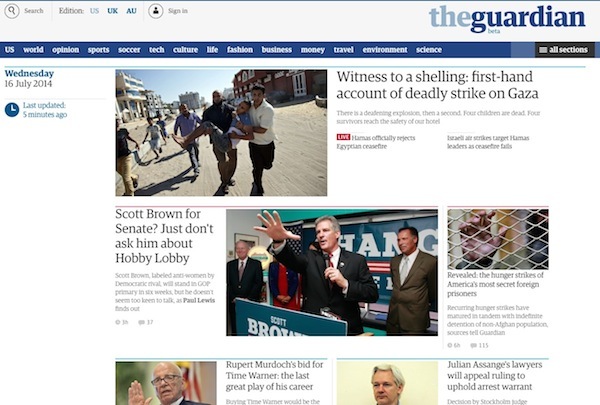 "The Guardian wants to know what you think of its redesign." Nieman Journalism Lab. Last modified September 3, 2014. Accessed April 23, 2019. https://www.niemanlab.org/2014/09/the-guardian-wants-to-know-what-you-think-of-its-redesign/.